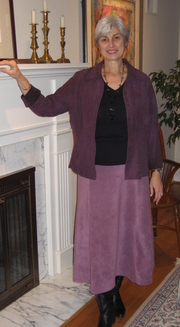 A fleece skirt can be dressed up or go casual. You will soon find your fleece skirt is one of the most versatile garments in your wardrobe. Fleece skirt can be worn on the slopes, or slip into your fleece skirt for apres ski. All Fleece Skirts are 100% Polyester, Polar Fleece. 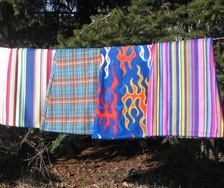 Fleece Skirts are easy to keep clean and quick drying. If you'd like a skirt in a color not currently available, please email me with your color request as I will be selecting fall colors in early November. Looking for something other than a Solid Color? To explore options for a print fleece, contact us via email or phone-listed below-to discuss what you are looking for and what custom options are available for a one-of-a-kind skirt.